Get a subscription to the Times Literary Supplement (TLS) - the leading paper in the world for literary culture. For more than a hundred years, the TLS has sought and found what is best in our literary culture, providing a unique pleasure - as well as a necessary resource to readers around the world. A mix of fine writing, literary discoveries and incisive debate has ensured its status as mandatory reading for many of today's top writers and thinkers. 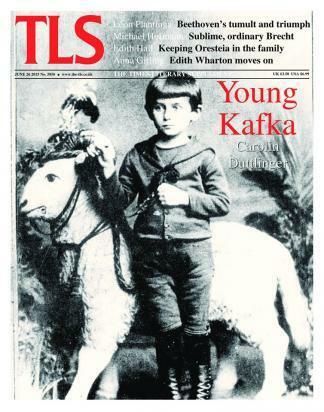 The TLS is the only weekly literary paper covering literature, history, biography, science, poetry, the arts and much more. The TLS offers comprehensive coverage not just of the latest and most important publications, in every subject, in several languages - but also current theatre, opera, exhibitions and film. Every week, readers of the TLS will find new poems, occasional short stories and regular columns and some two-dozen detailed reviews of new books in a wide range of subjects.